In this month’s Labnext newsletter, we’re going to review Payment Processing, Case Creation, and Remakes. Did you know that Labnext has integrated payment processing? You can process credit card transactions automatically as part of the standard payment posting workflow. This is another simplified workflow to make your team more efficient and your lab more profitable. You can also save card details for future transactions. And, accounts can be setup to pay their balance off on a specific day each month. 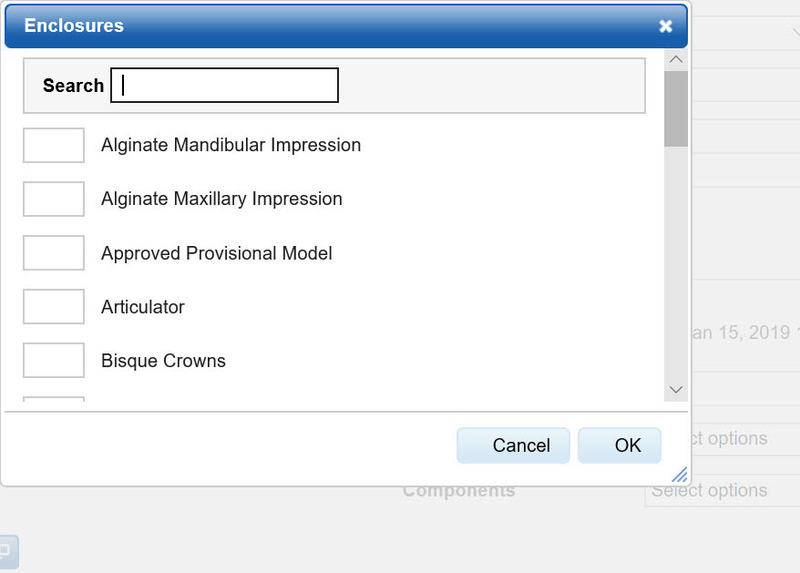 We recently updated the pop-up window for Components and Enclosures on the case creation screen. Now the pop-up windows include a search function which makes navigating long lists easier. A small change to make case entry more efficient for your lab. Labnext supports two types of remakes: Internal and External. Internal remakes are those that happen while the case is being fabricated. External remakes are those that happen after the case has been closed/invoiced – likely those reported by the customer. The external remake functionality in Labnext allows you to identify trends by account and the financial impact. 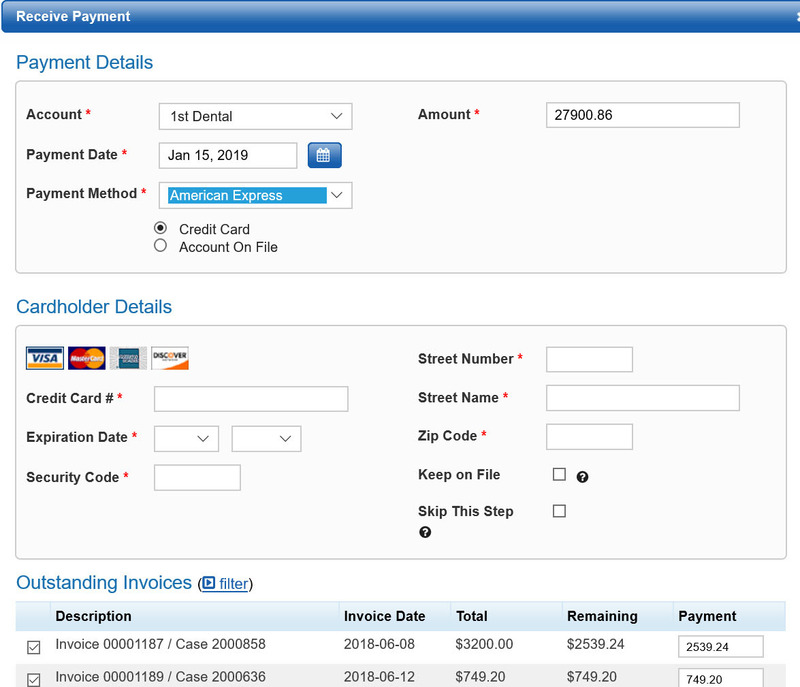 Go to the invoiced case (be sure that you are viewing the case, not the invoice). From the Actions menu select Remake Case. Select the reason why this case is being remade. Select the procedure(s) from the original case that needs to be remade. For multi-procedure cases, you may not be remaking the entire case. Complete the case details and click the Submit Case button. A new case will be created with a new ID and the two cases will be linked together. An internal remake allows you to reschedule the case and track the reasons for the remake. Tracking internal remakes allows you to identify trends such as regular mechanical malfunctions or technician errors. This option is available in the Labnext Productivity module. If completed tasks need to be redone, click the icon. 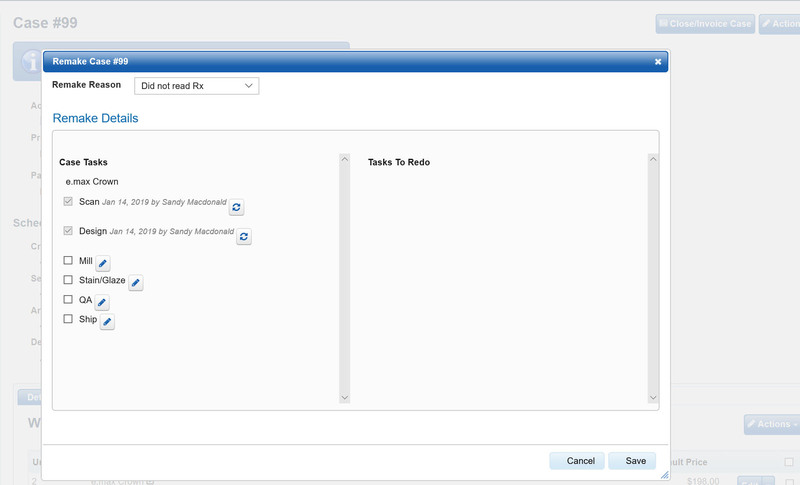 In the Redo Task Details window, you can define. An adjusted technician pay for this case. An estimated financial loss due to this remake that relates to this task. The technician that caused the remake. New tasks will be added to the case’s manufacturing schedule. 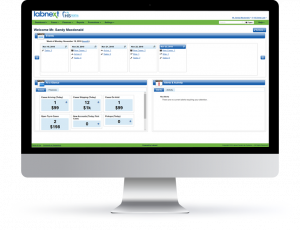 Labnext allows you to specify the remake reasons that you want to track and define the estimated cost. Go to Settings | Case Settings | Remake Types. Enter the name of the remake type as you would like it to appear in the remake report. Enter the amount. This amount is used to estimate the cost of remaking a case. The remake case will be created with a cost equal to this amount multiplied by the number of units for the procedure being remade. This is used to determine cost in the Cases Remakes Costs report. There are four remake reports in Labnext. They are in the Costs section of Labnext Reports. Remake Loss: Remake Cost less Remake Invoice gives you the Remake Loss for the case. A negative amount indicates that you charged more for the remake case than the estimated remake cost. Subtotal loss: By provider, totals all remake losses, including profits. Percentage: By provider, the percentage of Loss compared to Sales. A negative percentage indicates that all remake for this account brought in extra profits.